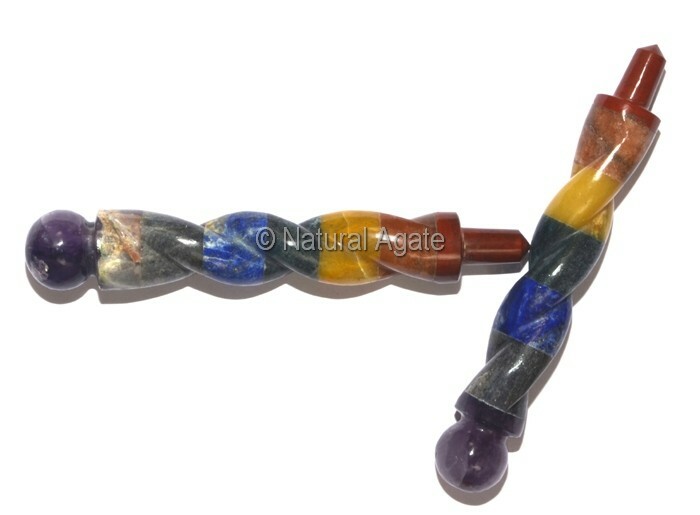 Natural Agate offers different designs in chakra wands. This Chakra Bonded Wand is 4-7inches long and weighs 70-120gm. It opens energy centers in the body and makes sure a free flow of energy in the body.